The LoJack security system has hurt the business model of auto theft, forcing thieves to go into new lines of work - and that should inspire us to think more creatively and systematically about how to reduce crime. Sold for $695, the LoJack is a radio transmitter that is hidden on a vehicle and then activated if the car is stolen. The transmitter then silently summons the police. Finally, people designing something that not just stops crime, but actually catches criminals. I'm shocked that there wasn't more in the article about privacy issues, but thank God for small miracles. I agree with Kristof that insurance companies should lower rates for someone who has LoJack, because even if their car does get stolen, the odds are high that their car will be tracked and found - and the thief put in jail. As to anyone who would start complaining about the privacy issues involved, the answer is simple: People are not required to install LoJack. If they want a safe way of tracking their car in case of theft, they can get it. If not, they don't have to. For most people, the decision would not come down to privacy issues - more likely, the $695 cost. Perhaps someone like Professor Donohue of Yale should add into a study the amount governments save in costs, the number of extra policemen able to patrol or concentrate on other investigations, etc. in instances where a car thief is easily and quickly tracked through the use of something such as LoJack. In addition to removing thieves from the road, I would think LoJack also allows the police department to concentrate more resources on investigating other crimes and on the streets to prevent other crimes from being perpetrated in the first place. If the savings is large, perhaps local governments should subsidize the installation of LoJack systems on cars, because it will actually end up saving them money (this is called an 'investment', as opposed to most government subsidies which are called 'waste'). This, in turn, would allow an even higher percentage of consumers to buy LoJack, which would in turn reduce crime, which would cause a greater savings to the government,...yada yada yada. Just a thought! Few cities love their NFL team and players more than Cleveland, and few players were more popular there than former quarterback and Ohio native Bernie Kosar. Despite his unorthodox sidearm release and inability to move around much in the pocket, he became one of the most successful and respected quarterbacks of his generation and left a lasting impression on fans. I grew up in Cleveland, Ohio, and my father was (and is) a Cleveland Browns' season ticket holder. His seats in old Municipal Stadium were at about the 32-yard line, upper-deck, a few rows back, with the Dawg Pound way off to the left and the Steelers contingent (when they came) just to our right. I still remember my first game, in which the Browns shut down the Steelers 13-3 in the freezing cold. While there are many great memories of those years and games, one of the most memorable trips to the Stadium was the week after Bernie was released. Cleveland was in an uproar - the week before, they had played in Seattle, and Todd Philcox had fumbled the first snap, resulting in a touchdown return for the Seahawks. I still remember Terry Bradshaw saying the only smart thing I've ever heard him say. Bill Belichik (before he was a genius, he was an idiot) said that Kosar's skills had diminished. Bradshaw quoted him, then responded, "That's bull. And I would add another word to that, but we're on national TV." Kosar was such a talent, he was picked up on that very Thursday by the Cowboys, and not only learned the playbook in just 2 days, he led them to a huge win over the Cardinals. One of my memories of that first game A.B. - after Bernie - was the countless people with paper bags, on which were printed a Browns' helmet on one side, a Cowboys' on the other. People would cut out the middle, and either put their own head in between or a cardboard cutout of Bernie which everyone seemed to have. There were signs all over the place about Bernie, and a few about Belichik and Art Modell, including, "Jump Art, land on Bill! ", encouraging Modell to crush Belichik in a belly-flop from his box. There was also a helicopter overhead which had a message trailing behind saying, "Don't jump Art - call Kevorkian! 555-####". For all the humor, there was a lot of sadness and bitterness over the fan favorite. There were cassettes made that were all about the Browns, especially Bernie - including "Bernie, Bernie" and "Bernie's back". If there is any consolation, it is that Kosar's last, memorable play as a Brown was typical Kosar - and many say the reason he was cut by Belichik. The Browns were down at home to the Broncos by less than a touchdown, and there were about 5 minutes left in the game with the Browns at the Bronco 35-yard line or so. Belichik called in a play, but Kosar ignored it. He had played the Broncos in big games for years, and knew their players well. He told Michael Jackson to run out about 15-20 yards, start as if to do a square-in (cutting across the field as if to form a square), Kosar would pump-fake, then Jackson would go straight up to the endzone. The Broncos safeties, Bernie attested, were aggresive safeties, and would immediately bite on the first fake. They broke the huddle, Bernie called hike, Jackson went up and started to cut across. Bernie faked, Denver safety Steve Atwater broke toward the middle, Jackson cut up, and was wide open for the game-winning touchdown. Classic Bernie. Belichik was furious - despite the touchdown, his quarterback had completely ignored his playcalls. Hence, the immediate release. The only nice part of his being released was that he went out exactly as he should have - beating the Broncos with not only his arm, but more importantly, with his mind. In 2004, Senator John F. Kerry (D) from Massachusetts ran for President. One of the many impressions people had of Senator Kerry was that he was extremely superior intellectually to current President George W. Bush. One of the reasons given was the manner in which President Kerry spoke and explained things - with extreme care and 'nuance'. On the other side, many (including Best of the Web) argued that this so-called 'nuance' was nothing more than a common intellegentsia ploy: By explaining something in a long-winded, convoluted manner, a person could give off the impression of intelligence, while in fact, higher intelligence is truly shown by a leader who can explain things in a short, succint fashion - as did President Bush. Another reason people thought Senator Kerry was smarter was the assumption that because President Bush was a 'simple' C student at Yale, he was clearly underqualified for the position of President of the United States. However, as it turns out, Senator Kerry was not only no better than the President, he was actually slightly worse. While the President carried a 77 average in his years at Yale, Senator Kerry's average finally ended up at 76 - even with a high grade of 89 in political science as a senior. In addition, while President Bush had just one 'D' in his career, Kerry had 5 - four as a freshmen, one as a sophomore. It's too bad Senator Kerry refused to release his records sooner - it may have made the public's choices clearer in the last election. "Even if the Jews have not all been geniuses, their general average of intelligence and intellectuality is far above our general average--and that is one of our reasons for wishing to drive them out of the higher forms of business and the professions. It is the swollen envy of pigmy minds--meanness, injustice." "The Jews have the best average brain of any people in the world. The Jews are the only race who work wholly with their brains and never with their hands... They are peculiarly and conspicuously the world's intellectual aristocracy." "The Jew is a money getter; and in getting his money he is a very serious obstruction to less capable neighbors who are on the same quest." This is not a statement of egotism; rather it is a statement on history, on nature vs. nurture, and on Jewish pride. We take pride in our heritage, one which has taught us how to think and how to act - attributes which have allowed us (with God's help) to reach this point in history. It's interesting to look at different blogs that are all over blogspot... People have some of the most interesting ideas for blogs. There are blogs by individuals such as myself that encompass everything from computer geeks dancing to politicians on the far left; from purported Darth Vader memoirs to one that I find incredibly powerful and interesting - a blog called PostSecret. 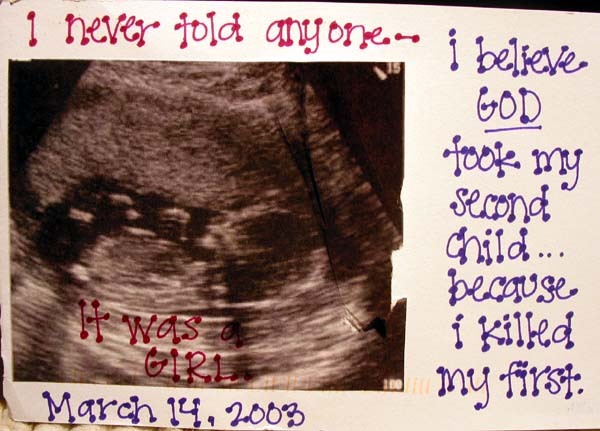 Post Secret is a blog which enables people to send anonymous postcards of their innermost secrets - whether about something in their past, their present, or their future. The style used is to find a fitting postcard upon which the secret-teller writes, draws, or cuts words a short sentence that sums up their secret and how they feel. The postcards range from fears to insecurities to shame to happiness, and sometimes cover all of them at once. Many are common themes most people may feel; some are secrets that the majority of us can never comprehend. An excellent example: "I never told anyone... I believe God took my second child... because I killed my first. It was a girl. 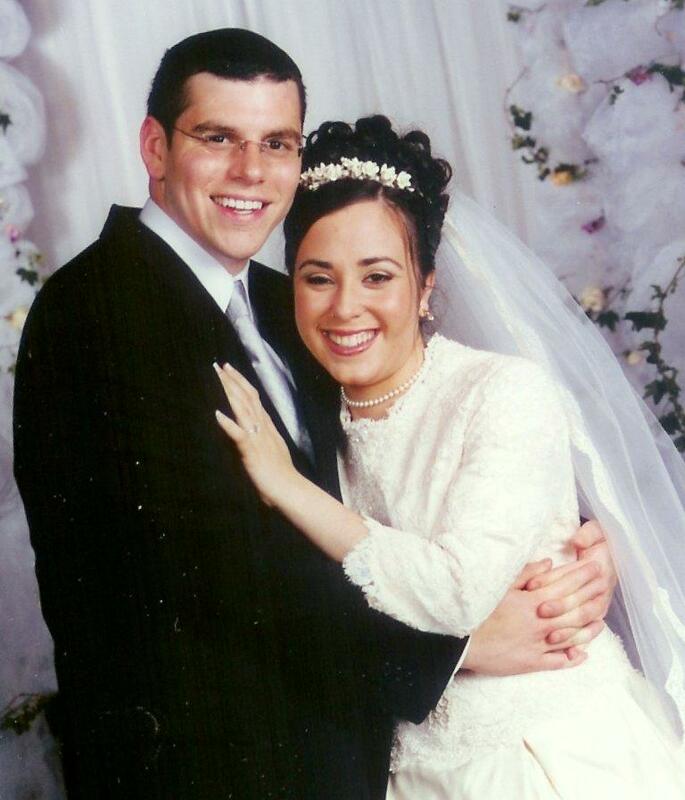 March 14th, 2003." Spend a few minutes, go look at the blog - you don't realize how many secrets you have until you've seen the secrets of others. Now this is a smart, tough, perservering cop - and the funniest pull-over I've ever seen. Thanks to another blog, Mr. Dash, for finding this link. Where have all the home runs gone? I love this quote from Little Omar: "The biggest reason is steroids, obviously," he said. "Second is [less use of] supplements. Third is injuries. And anything else is all a bunch of bull." Tomorrow, or later today, as the case may be, is my final in Governmental and Not-for-Profit Accounting. It's about exciting as it sounds. I'd rather do anything, even create my own blog, then study this astonishingly boring material for a test which will undoubtedly be a killer. :::sigh::: I'd rather be playing NL Hold 'Em. Then again, who wouldn't? !